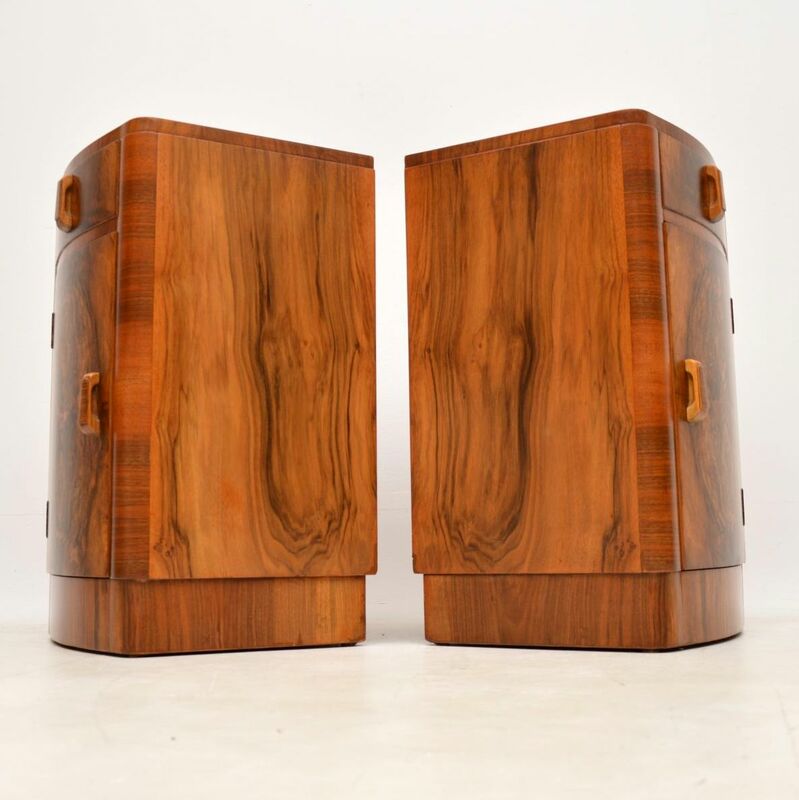 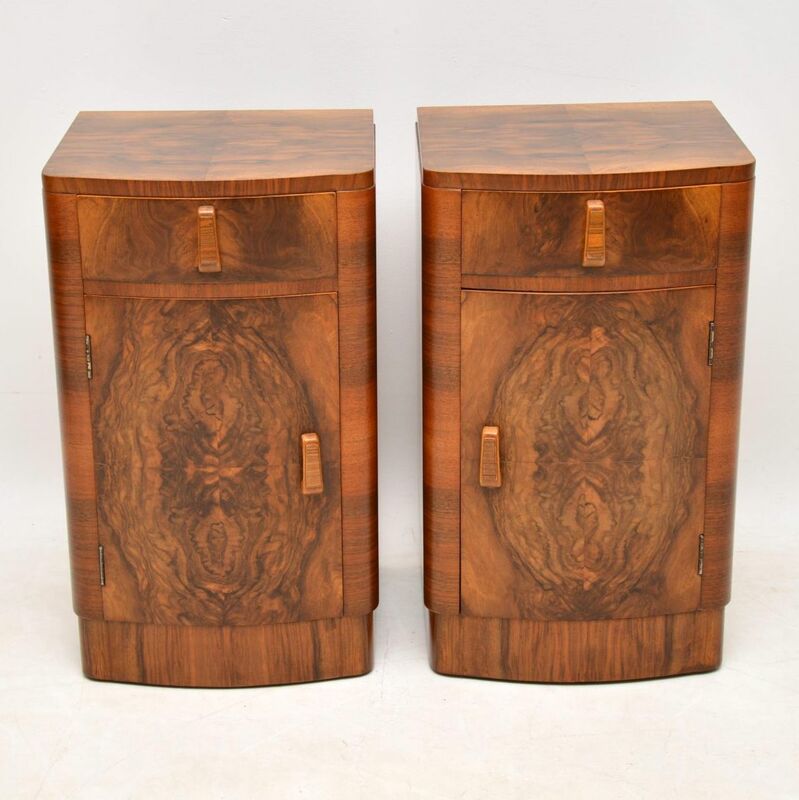 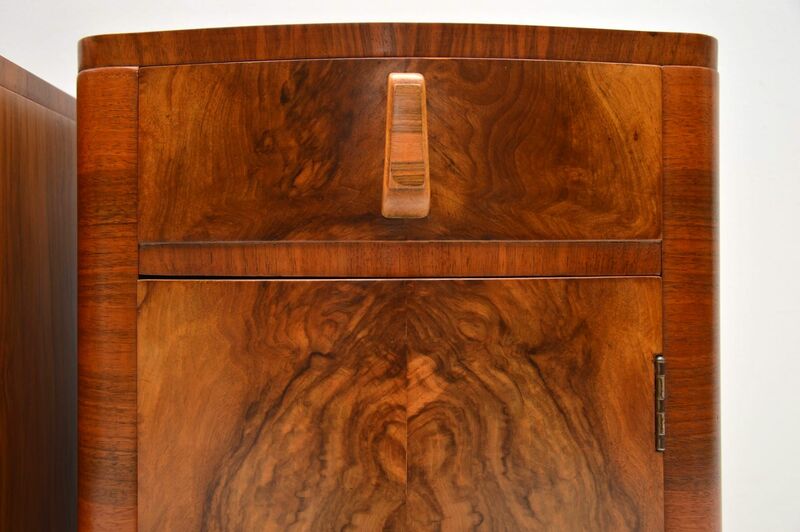 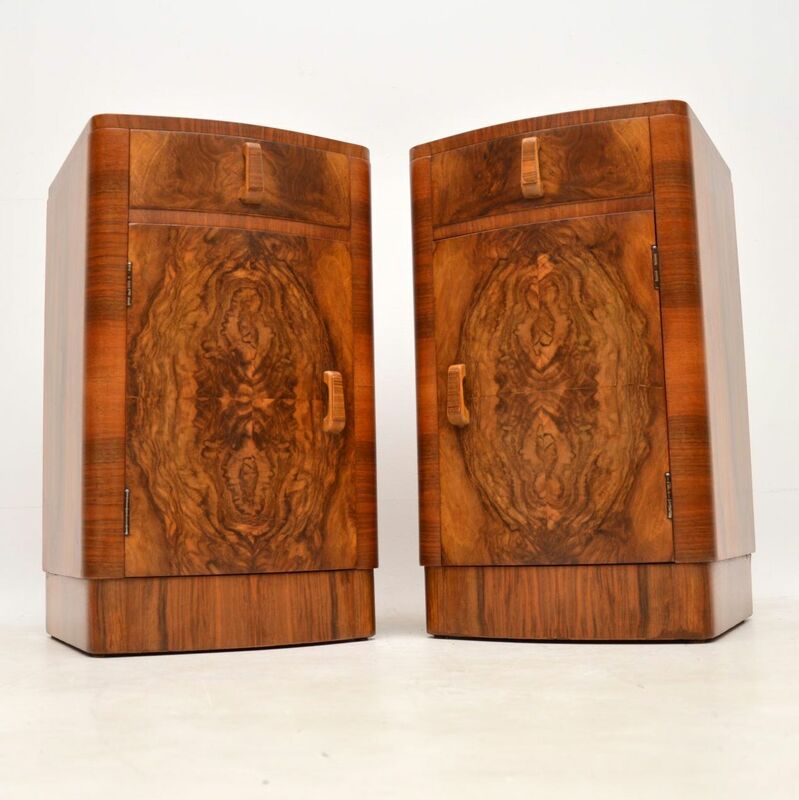 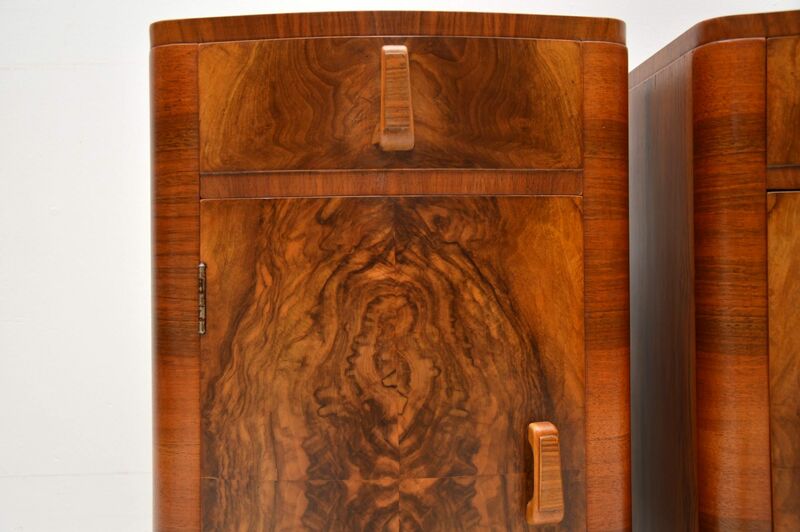 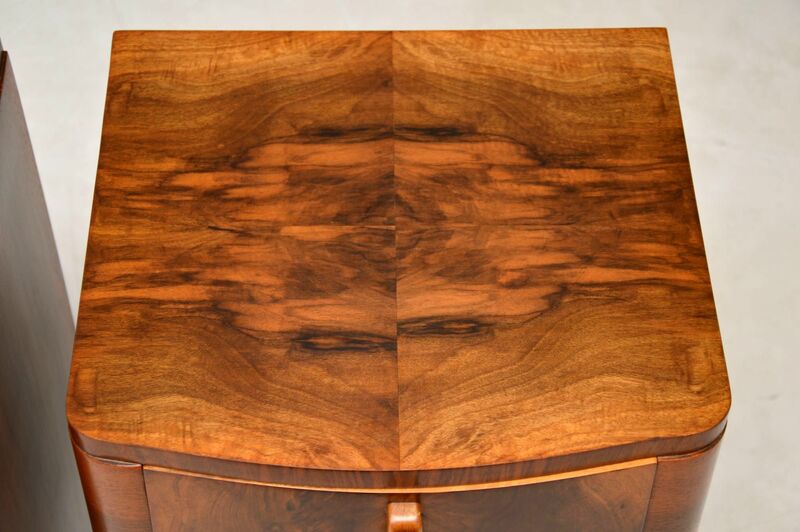 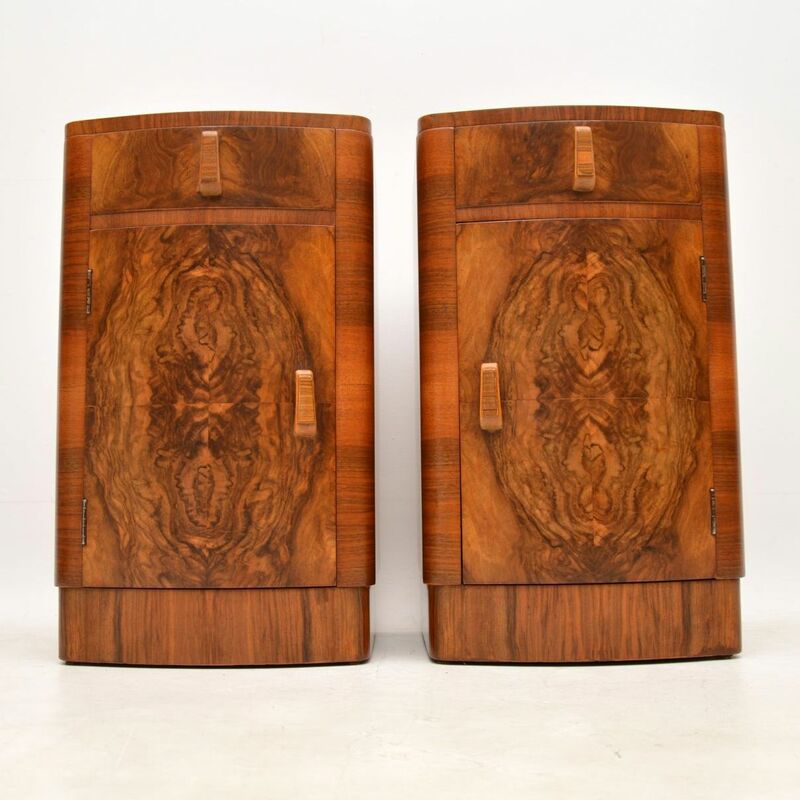 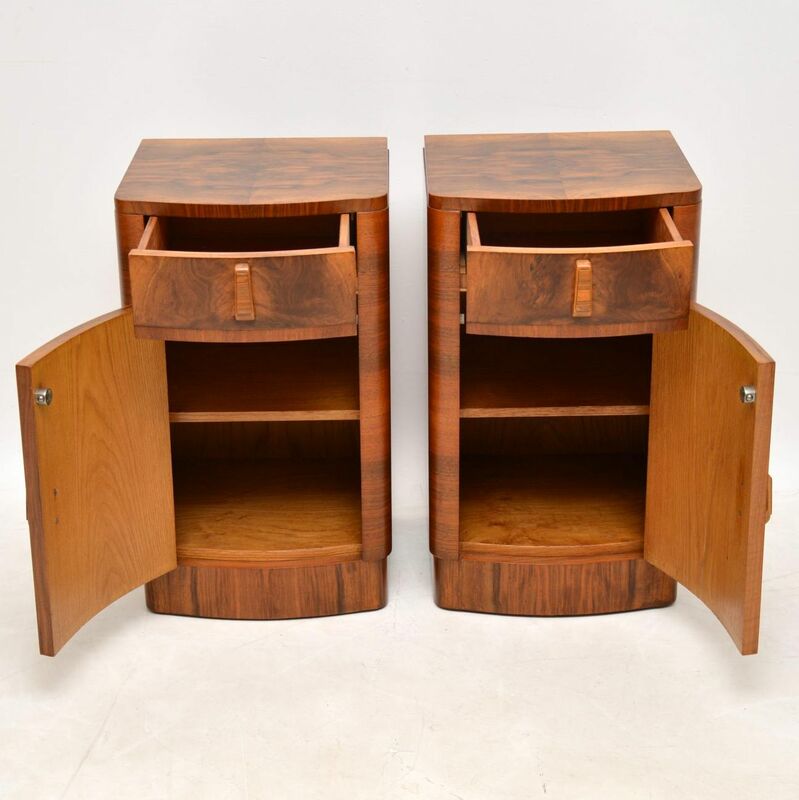 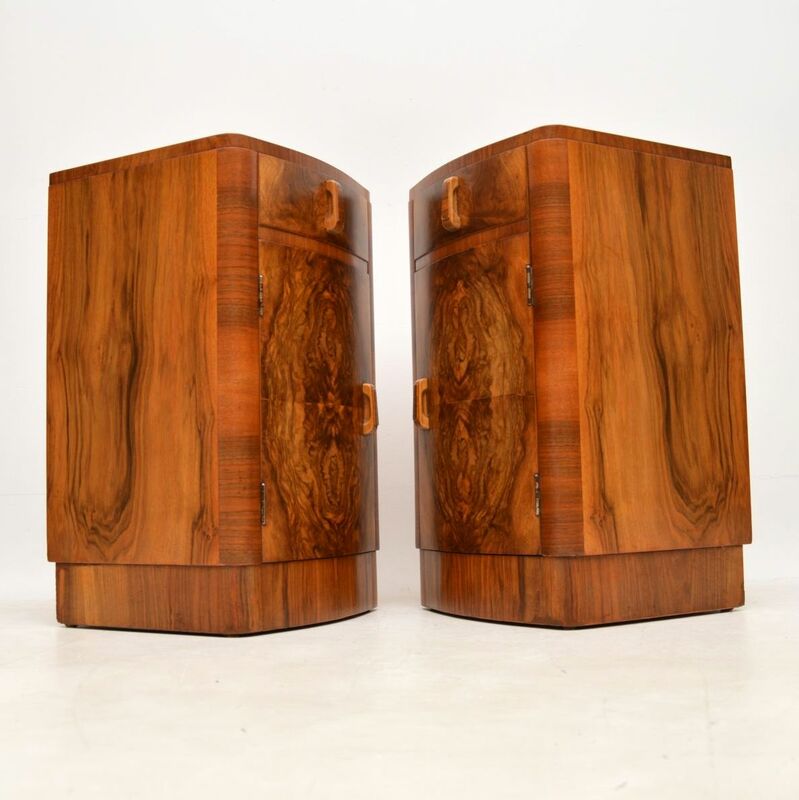 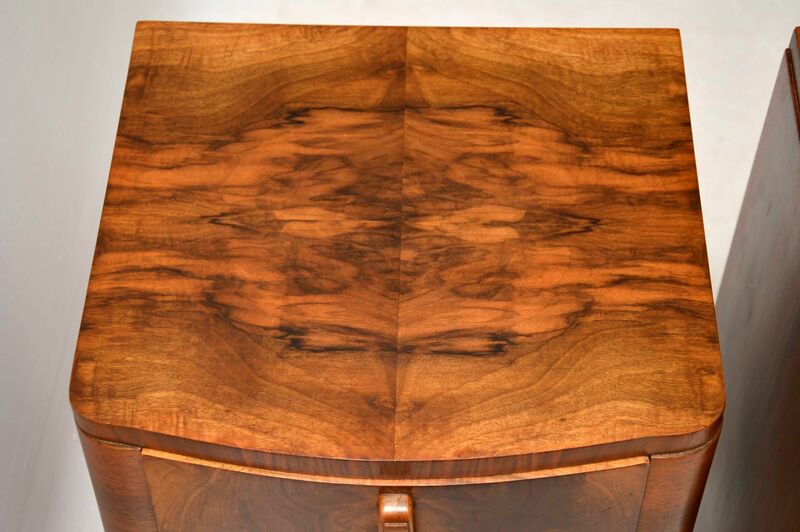 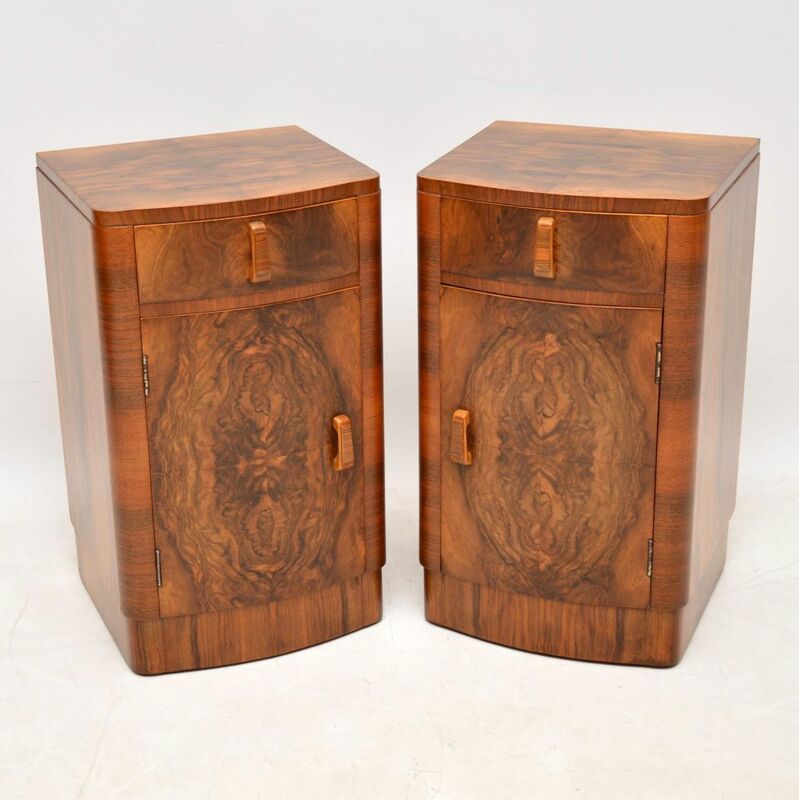 A stunning pair of original vintage Art Deco period bedside cabinets, beautifully made in figured walnut. They have lovely proportions, have a beautiful colour and amazing grain patterns throughout. 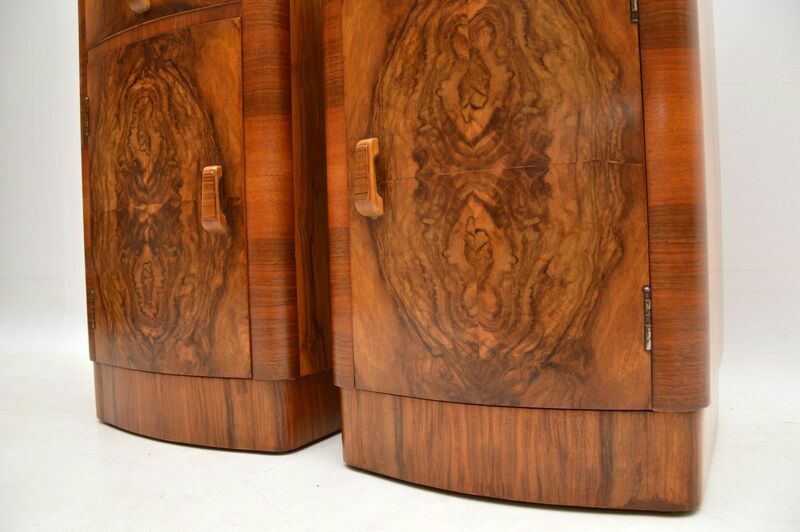 We’ve had these fully stripped and re-polished to a very high standard, the condition is superb throughout.